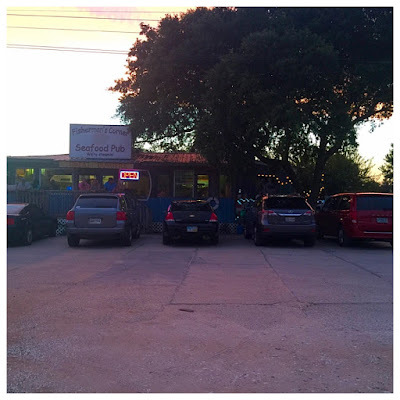 Why is it that some of the greatest restaurants are the hardest to find and the most difficult to get to? And you can forget getting any help from Siri! Assuming you bypass her inability to understand a word you say and type in your request for directions, she still sends you in the completely opposite way you should be going. Such was the case on a recent beach trip. A local realtor in the area was giving us a little heads up on the restaurants in the area serving the freshest local seafood. One of his recommendations wasn't in Gulf Shores or Orange Beach, or even in Alabama. 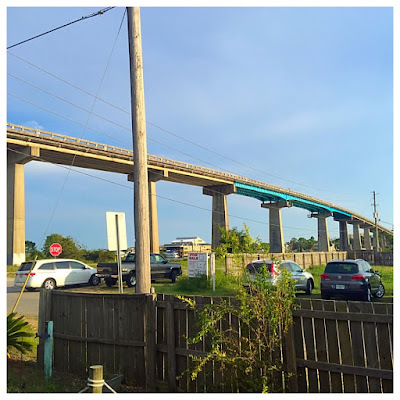 It was across the Perdido Bridge, past the FloraBama and under the Theo Baars Bridge in Perdido Key, Florida. It is tucked so well up under the bridge and in the middle of nowhere, that we were surprised anyone ever found it to begin with. There are some houses behind it, so we guessed the locals living nearby had a good thing to themselves until some outsider stumbled upon it and squealed. 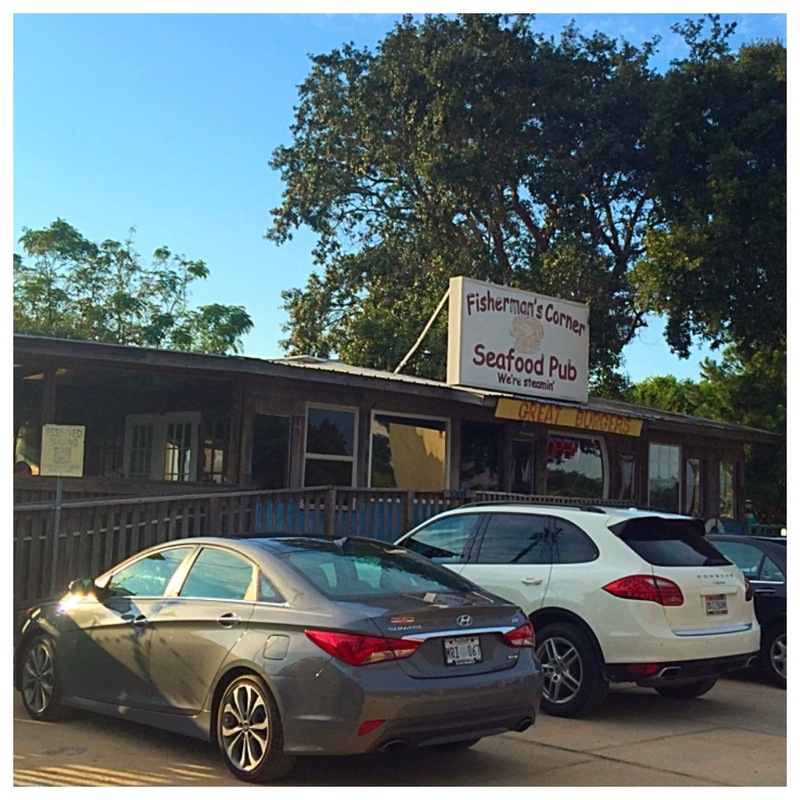 The name of this hidden gem is Fisherman's Corner and it would be a superb candidate for Diners, Drive-ins and Dives. 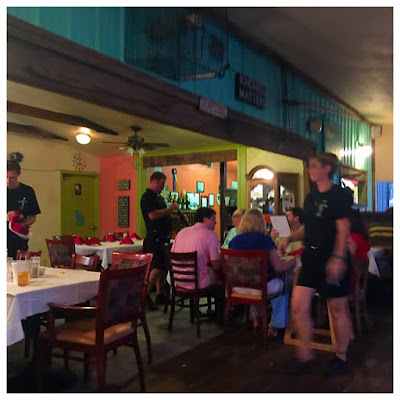 As rustic as they come, this establishment literally blends in to the scrubby Florida landscape, assuming that gnarly, knotted look some of the trees get from being continually buffeted by the winds blowing in off the ocean. 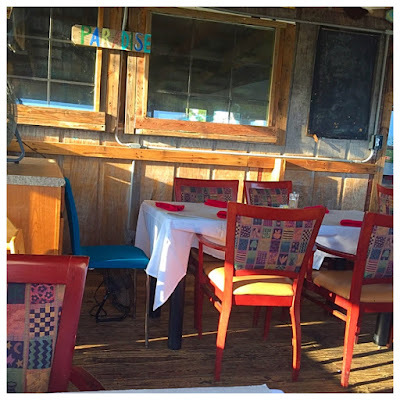 It would also be at home sitting on an alligator infested swamp in the Louisiana bayou, especially with Cajun flavored menu. That's right! 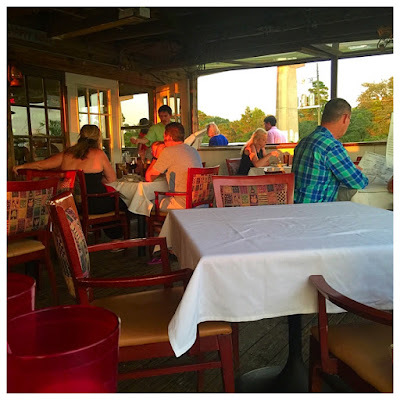 Fisherman's Corner is not just your run of the mill seafood restaurant. It is a seafood restaurant with Cajun roots. Everything at Fisherman's Corner is made to order, made from scratch and made from fresh, local ingredients, so don't come expecting fast food. This kind of food takes a bit longer, but it is so worth the wait. If you arrive early or choose mid-afternoon rather than traditional lunch or dinner hours, you stand a better chance of being seated quickly. Otherwise, anticipate a wait. Fisherman's Corner does take reservations, so if you want to go at the busier times, keep that in mind. The restaurant has both indoor and outdoor seating. We scored a seat on the porch and, with the porch fans blowing, it was very comfortable. You should not expect much of view, however. This is not ocean front property. Our server quickly brought drinks, while we checked out the menu. The appetizers looked intriguing. 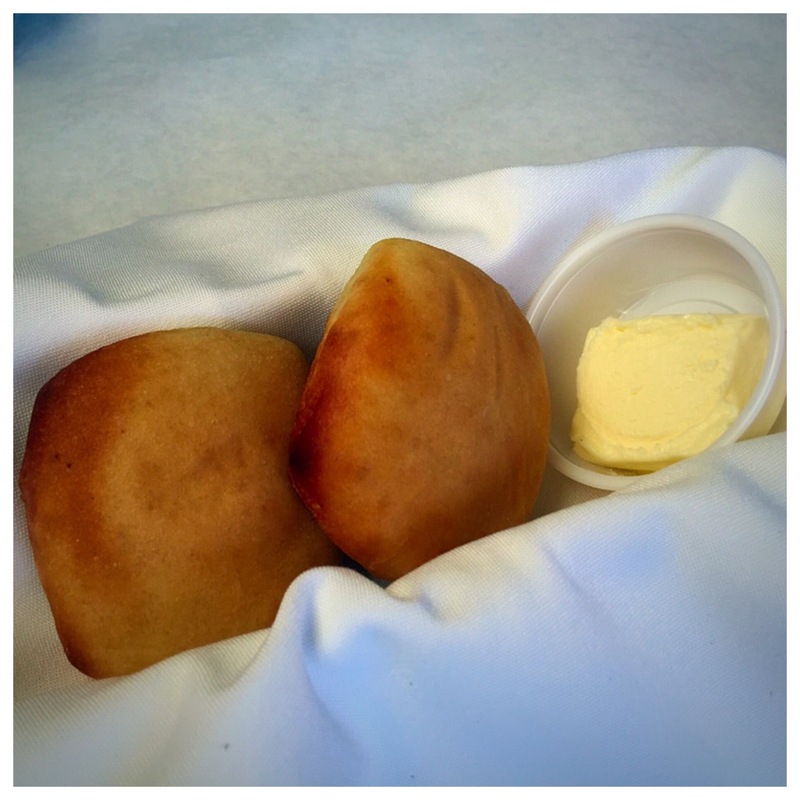 While we pondered these options, the server brought out some delicious homemade rolls and creamy butter. We were off to a grand start. We were tempted by the smoked tuna dip and the sweet and spicy shrimp, but finally settled on Jim's Spicy Oysters and Shrimp when the server told us it was possible to get a combination of the two. 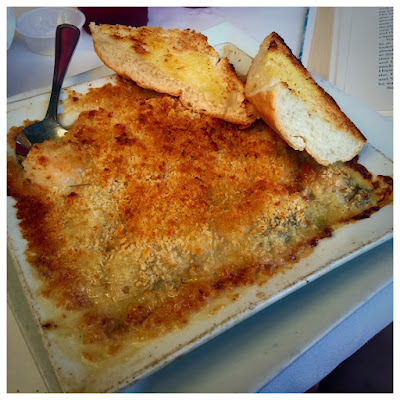 The plate came out sizzling hot and the seafood delicacies were nestled in a creamy parmesan aioli and topped with a crunchy blanket of bread crumbs. We loved them both, but the oysters were especially sweet and delicious. 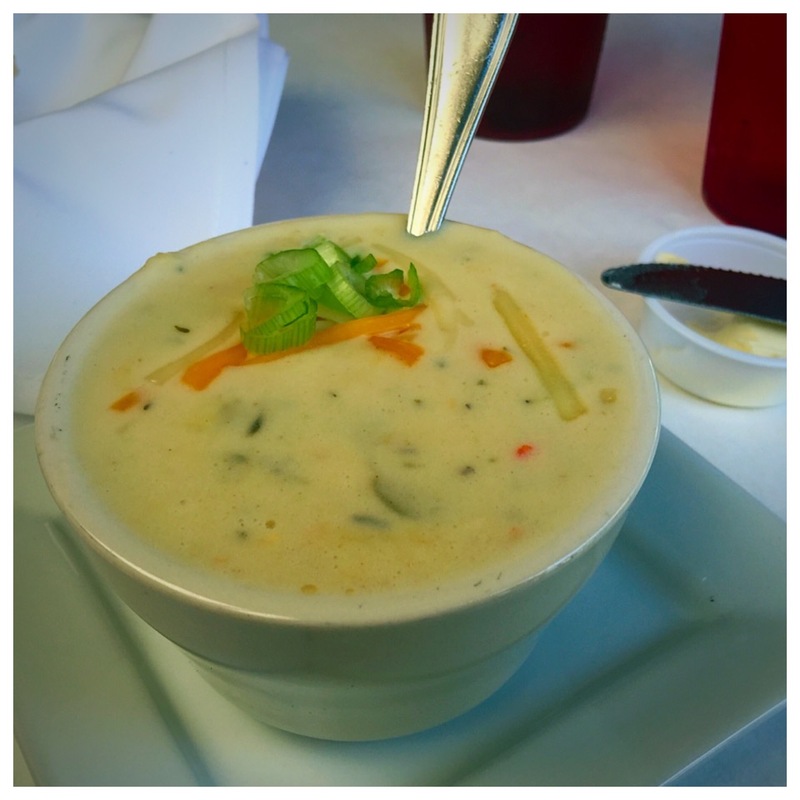 For the meal, we decided to go a soup and salad route, so we chose a cup of the shrimp and corn chowder. Creamy, with fresh Gulf shrimp, corn and peppers for a little pop, it was very good. The salad was the most unexpected thing we ordered. Actually, it is the only thing we should have ordered. It was huge! And it was really more of a seafood platter than a salad. It was called a fried gumbo salad because it had all the components of gumbo, but fried and sitting on top of a bed of fresh mixed greens. 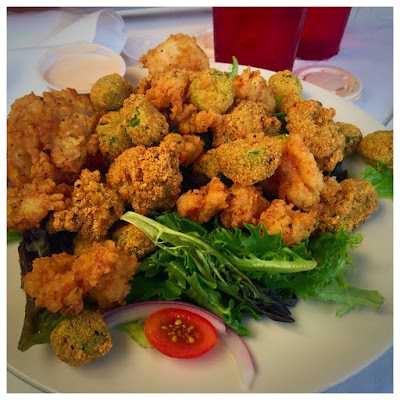 Shrimp, oysters, crawfish and okra covered in a crispy cornmeal coating dominated the bowl, with a creamy homemade Creole dressing served on the side. The picture below does not even begin to adequately portray the size of this salad. Ninety percent of it was placed in a to go box for us to take home. Fisherman's Corner lived up to the accolades our new acquaintance had bestowed upon it. Everything we had from the bread to the seafood was delicious and fresh and wonderfully made. We are not going to promise you this place is easy to get to, but once you do, you will be so happy. 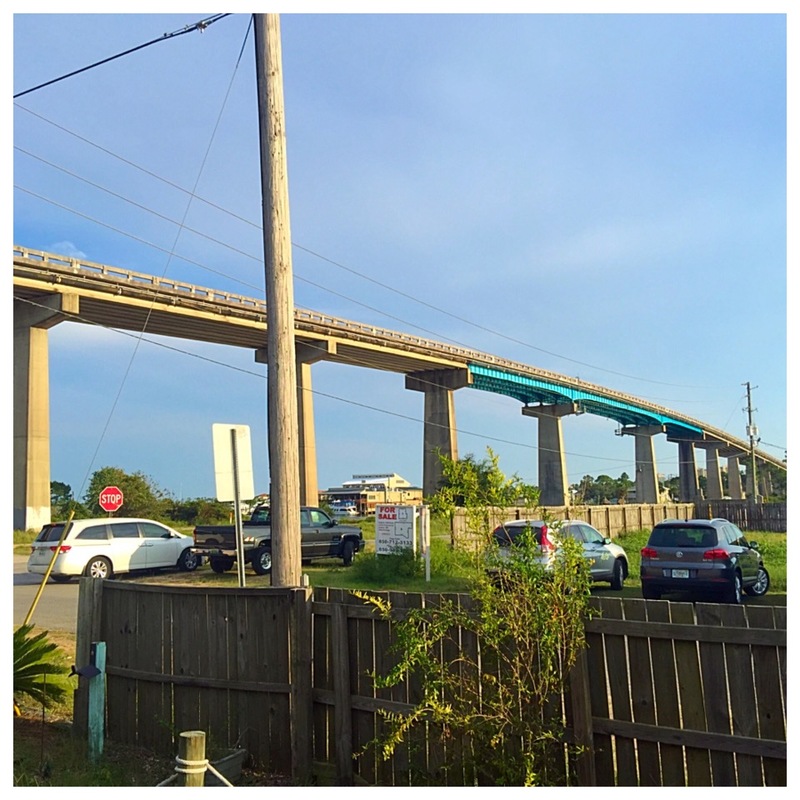 It was worth the trip across the state line and over the bridge and under the bridge. 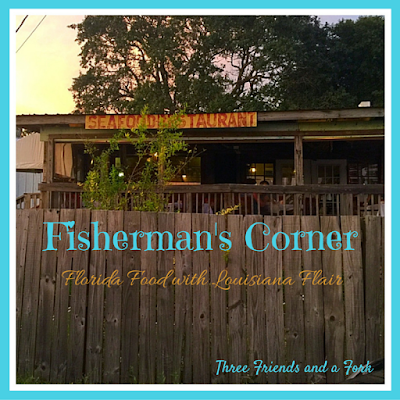 Three Friends and a Fork give Fisherman's Corner 3 Fresh Florida Yums UP!